I haven't shared any treasures for months & that's because i haven't been thrifting for months. So here are some lovely vintage pillowcases that i found on my last thrift-excursion...............way back in July. 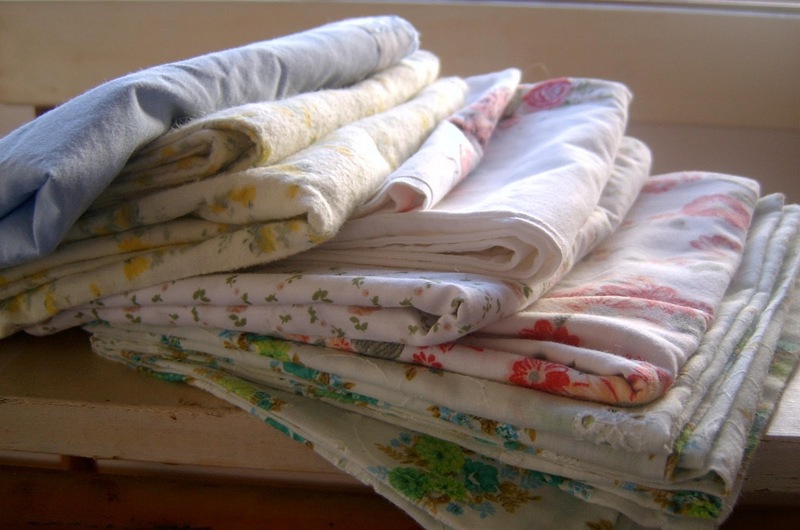 I have plans for these lovelies........i'm going to use them as pillowcases - exciting i know, but just between you & i - i have a lovely white doona cover on lay by & some vintage pillowcases will look fantastic with it. My favorites are the yellow floral flanelette ones, they are like brand new & i can't wait to snuggle into them! Pop on over to Her Library Adventures & check out the treasures Sophie & others have scored this week. They looks great! I had a good vintage linen haul this week too. Your pillow cases are so sweet and will look fantastic against your white cover. Vintage pillowcases are definitely are fav of mine and yours are gorgeous! Oh man, you should see my stash of cot sheets. And I am pretty sure I have some sheets to match that pillow case.